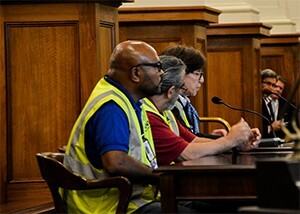 Machinists Union members in New Jersey are fighting to stop legislation that will make travel even more expensive for the millions of passengers that travel through Newark Liberty International Airport (EWR) each year. Sponsored by New Jersey Senate President Steve Sweeney and Newark Senator Teresa Ruiz, the proposed bill would add $20 million annually in jet fuel taxes to airlines already facing rising fuel costs. There are serious doubts as to whether such a large cost increase could be fully absorbed by the airlines, which would prompt them to pass on costs to passengers, consider route changes or even job cuts in response. Airlines hit by the tax could be forced to scale back planned improvements to their facilities, especially those that are funded voluntarily and without subsidies. In other words, higher travel costs, fewer route options, and deteriorating airport facilities: Things that no flyer wants to hear. The bill would also endanger the careers of tens of thousands of airline workers at the airport, and may not even be legal. In seeking to use the new tax to fund a proposed PATH Railway extension from downtown Manhattan, Senate Bill 2892 would illegally divert airport taxes for non-airport use. This practice violates Federal Law and will place the Port Authority of New Jersey and New York at risk of incurring tens of millions worth of legal penalties. It would also put millions of dollars of critical federal grants in jeopardy. All of which has left airline workers at Newark Liberty more than a little concerned. The Machinists Union, which represents more than 3,000 airline workers at EWR, immediately mobilized its membership in opposition to the scheme. Bowing to the targeted pressure from the Machinists and other activists, legislators retreated from an earlier plan to direct the entire tax increase against United Airlines and its passengers, a move which would have certainly placed Machinists jobs in jeopardy. While the amended bill distributes the tax increase among all carriers at EWR, it is still calculated based on consumption. Since United is the largest carrier at Newark, some estimates suggest that it will still be stuck with the tab for about 70% of the total $20 million annual cost. 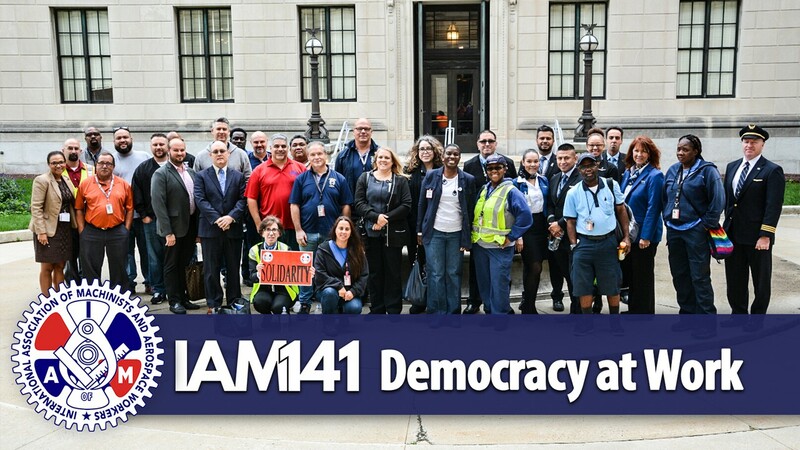 IAM141 Members can help ensure that the interests of airline workers are represented in public policy – thanks to the IAM141 MNPL Program. The Machinists Non-Partisan League is funded entirely through voluntary donations from members like you. To become a supporting member of the IAM141 MNPL, please complete a MNPL Automatic Payroll Deduction Card for any amount today. Cards can be found by visiting the MNPL page at IAM141.org.